Check Your Penny Collection ! In 1942, the U.S. Government halted the minting of copper-coated bronze coins – switching to steel instead – because copper was needed to manufacture ammunition during World War II. A few of these bronze pennies made it out, however. These pennies remain the most famous and valuable of all wrong-metal issues. Bill Simpson, co-owner of the Texas Rangers, owns three of them. accident when copper-alloy one cent blanks remained in the press hopper when production began on the new steel pennies. 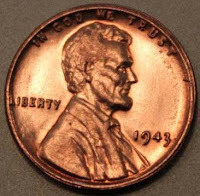 It is said that the 1943 copper cent is a favorite of counterfeiters, who coat steel pennies with copper. 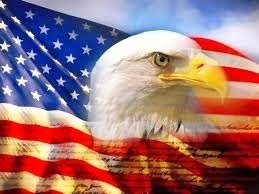 The easiest way to determine if a 1943 cent is made of steel, and not copper, is to use a magnet. If the penny sticks to the magnet, your stuck with a worthless coin. But why would you buy these coins in the first place without really knowing their composition.